^ H.S. Gour, The Spirit of Buddhism, Kessinger Publishing, Whitefish, Montana 2005, pp. 286-288. ^ J. Narveson, Utilitarianism and New Generations, Mind 1967, LXXVI (301), pp. 62-67. ^ H. Vetter, The production of children as a problem for utilitarian ethics, Inquiry 12, 1969, pp. 445–447. ^ H. Vetter, Utilitarianism and New Generations, Mind, 1971, LXXX (318), pp. 301–302. ^ K. Akerma, Verebben der Menschheit? : Neganthropie und Anthropodizee, Freiburg im Breisgau: Verlag Karl Alber, 2000. ^ B. Contestabile, The Denial of the World from an Impartial View, Contemporary Buddhism: An Interdisciplinary Journal, volume 17, issue 1, Taylor and Francis, 2016. ^ H. Jonas, The gnostic..., op. cit., pp. 228 and 231. ^ D. Obolensky, The Bogomils: A Study in Balkan Neo-Manichaeism, Cambridge University Press, Cambridge 2004, p. 114. ^ M.J. Fromer, Ethical issues in sexuality and reproduction, The C. V. Mosby Company, St. Louis 1983, p. 110. 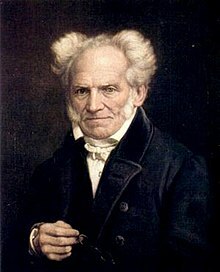 ^ A. Schopenhauer, Selected Essays of Schopenhauer, Contributions to the Doctrine of the Affirmation and Nega-tion of the Will-to-live, G. Bell and Sons, London 1926, p. 269. ^ P. Brown, The Body and Society: Men, Women, and Sexual Renunciation in Early Christianity, Columbia University Press, Columbia 1988, p. 96. ^ Clement of Alexandria, Stromateis, op. cit., pp. 295-296. ^ G. Quispel, Gnostica, Judaica, Catholica: Collected Essays of Gilles Quispel, Brill, Danvers 2008, p. 228. ^ P.W. Zapffe, The Last Messiah,The Philosophy Now 2004, Number 45, pp. 35-39. ^ P.W. Zapffe, Om det tragiske, Pax Forlag, Oslo 1996. ^ P.W. Zapffe, H. Tønnessen, Jeg velger sannheten: En dialog mellom Peter Wessel Zapffe og Herman Tønnessen, Universitets forlaget, Oslo 1983. ^ T. Brede Andersen, Hva det betyr at være menneske, 1990. ^  J. Cabrera, T. L. di Santis, Porque te amo, Não nascerás! Nascituri te salutant, LGE Editora, Brasilia 2009. ^  J. Cabrera, A critique of affirmative morality - a reflection on death, birth and the value of life, Julio Cabrera Editions, Brasília 2014. ^ a b G. Harrison, J. Tanner, Better Not To Have Children, Think 2011, Volume 10, Issue 27, pp. 113-121. ^ V. Baird, "The No-nonsense Guide to World Population", New Internationalist, Oxford 2011, p. 119. ^  An NBC interview with Les U. Knight. ^  The official Voluntary Human Extinction Movement website. ^ D. Benatar, Better..., op. cit., pp. 109. ^ T. de Giraud, L'art... op. cit., p. 51.